If you have never had to buy one before, trying to choose the perfect crib mattress can be overwhelming. You need to take a lot of things into consideration and you have to decide which features are most important for your family. You’ll be bombarded with options and you’ll have to decide if you want to go organic, innerspring, foam, memory foam, or if you want a dual sided mattress. We have compiled a list of the best crib mattresses and provided some recommendations to save you some time at the store. 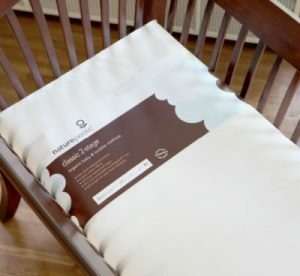 I have spent countless hours researching crib mattresses and I did some hands-on testing to bring you my top recommendations. There are so many different kinds of mattresses that ranked very highly in my crib mattress reviews. The top of my review list is Naturepedic’s organic innerspring mattress. This mattress is a hybrid, organic, innerspring mattress that outperforms many competitors. This mattress is completely non-toxic, is resistant to bed bug/dust mite infestations, has dual firmness, and sports 150 coils inside. The cotton stuffing is certified organic, and the 13 gauge coils with a 9 gauge border wire do an excellent job of keeping the edge supported. My son found this mattress to be very comfortable. He was having trouble sleeping for a few weeks, but as soon as he laid down on this one, he slept peacefully. This mattress is super supportive and it is dual sided so it can grow with your child and provide your toddler more comfort and your infant more support. This makes for an extremely safe mattress. The Naturepedic easily passed the two-finger test. I was not able to fit two fingers between the crib and the mattress. That means that it was perfectly sized to the crib and safe for a sleeping surface. The only downside to this mattress was that it holds heat longer than some of the others. It took 44 seconds to cool down as opposed to the 20-25 second average. If this is a concern for you, there is a cooling mattress pad for the crib to eliminate heat retention concerns. This mattress performed wonderfully overall. Although there was a heat retention issue, my son didn’t sweat on it. The whole mattress is seamless and it was certainly very supportive. This design ensures no chance of threads pulling or coming apart adding to the durability of the mattress. There was no off-gassing odor and the entire mattress is waterproof and easy to clean. There was no off-gassing odor and the entire mattress is waterproof and easy to clean. This mattress is very durable and supportive. This innerspring mattress also performed very well. This is one of the best rated on my list for several reasons. It has a Greenguard gold certification, a CertiPUR-US certification, innofoam corner protectors, air holes for breathability, 231 luxury pocketed coils, and it is dual sided to grow with your family. This mattress is hypoallergenic, water resistant, and has an extra comfort layer on the toddler side. This mattress performed very well. There is a notable difference in feel between the infant and the toddler sides when it comes to comfort. I put my son on each side and he definitely slept better on the toddler side with the comfort layer. It also showed superior support on each side without excessive sinking. This is a good indication that the risk for SIDS is greatly reduced while sleeping. The Sleepy Whispers passed all of the tests I performed on it. I was unable to fit two fingers between the mattress and crib, there was superior edge support thanks to the coiled edges, the corners are not sharp and they fit perfectly into the corner frame of the crib nicely, there was an even amount of bounce, and it didn’t retain heat. The only complaint I have about the mattress is that it is quite heavy. This can cause issues when it comes time to change the sheets, or when your toddler gets curious and tries to pick it up. This is common and should be expected with innerspring mattresses though. Overall, this bed is a pretty great. It wouldn’t otherwise be on my list. This mattress comes highly recommended because it has all of the top notch features parents need and want. This is a highly recommended mattress because it has all of the top-notch features parents need and want. I had three Safety 1st mattresses in my crib for testing purposes. I preferred this one over the other two because it has a Greenguard gold certification, the cover is hypoallergenic, and it comes from a very reputable manufacturer of some of the best baby products in the world. This mattress is made with a high-density, thermo-bonded core and topped with a vinyl cover. This high-density core is built to last, which is important to look for in foam mattresses. This high-density foam is still quite comfortable. My son slept longer and more deeply because he didn’t toss and turn all night. The Heavenly Dreams has great edge support and fits perfectly into the cribs tight space. I couldn’t even get one finger between the crib and mattress, which is pretty exceptional if you ask me. At only 8 pounds this mattress is extremely lightweight. This is the perfect weight of a mattress for transportation or if you have to do sheet changes in the middle of the night. You will not find any temperature regulation features for this mattress, unfortunately. Even though it does not advertise heat retention features though, it did not perform poorly when put to the test. It held a small amount of heat, but nothing that should stop you from considering this mattress. My son did not experience any overheating or sweating, so that means somewhere and somehow heat is escaping and his body temperature was being regulated during the night. 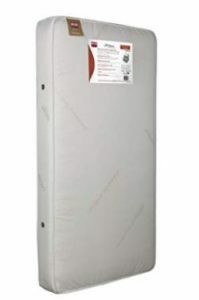 This is an overall great choice for a crib mattress because it is affordable, it performs very well when tested, and I was impressed with the overall result. My son experienced better, longer, and deeper sleep. He fell asleep faster, he did not sweat, and he loved it. Actually, this is the mattress he is still sleeping on today. You can also read our full review of this mattress here. 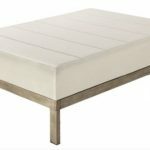 This is an overall great choice for a crib mattress because it is affordable, it performs very well when tested, and I was quite impressed with the overall result. The “My First Mattress” is CertiPUR-US certified, hypoallergenic, mite-proof, anti-microbial, and phthalate & lead-free. It might seem strange to have a memory foam mattress highly recommended for babies and toddlers, but believe it or not, it is one of my top picks and it performed very well when tested. The mattress cover is machine washable which makes it pretty wonderful in my book. It can easily be removed from the mattress and throw right in the washer for a fresh clean mattress whenever you need it. It’s very soft and it has a plush feel to it. My son loved sleeping on it and I washed the cover multiple times and it did not shrink or fall apart at all. I love the durability factor of this cover. The high-density memory foam makes this mattress very comfortable. We all think of memory foam as something that you sink into. While this is true for adult mattresses, it is not for the crib mattress. The high-density foam means the baby will not sink into the mattress so it remains safe, and comfortable, for both babies and toddlers. This mattress is also highly supportive. I placed a 16-pound bowling ball on it noticed only minimal sinking. This is a good indication that an 8-pound baby will not cause unnecessary indentations or get stuck in a hole. One notable and unique feature of this mattress is heat retention. This mattress blew all of the other ones out of the water when tested for breathability. The average cooldown time is 20-25 seconds but, this one took an outstanding 7 seconds to cool down. This is beyond fantastic and means that the mattress is very breathable and there is little chance of heat retention and overheating. If you’re leaning to the memory foam side, this is overall a highly recommended memory foam mattress. I was admittedly a little skeptical at first, but once I saw how well my son slept I was convinced. I know he was safe on it after the bowling ball test and I was sold. This is also very lightweight, unlike adult memory foam mattresses that can weigh upwards of 120 pounds. This crib mattress only weighs 11 pounds. Adding the breathability, support, durability, and comfort features to the lightweight, safe, and supportive features and you have yourself one heck of a mattress for your child. Overall, this is an excellent cheap crib mattress for babies . I am so excited to tell you about the Newton Wovenaire because out of all of the mattresses that I tested, this one is definitely the most unique. It is constructed of just two components, Wovenaire material, and the 3-D spacer cover. The Wovenaire material is a block of the woven food-grade polymer. It’s really pretty cool how they make this stuff. They essentially shoot liquid plastic into a pool of water and to create a block of flexible plastic. The whole mattress is 10% polymer and 90% air. It is free of biocides and toxic fire retardants toxins that are found in plenty of other mattresses. It has a significantly lower suffocation risk than other mattresses on the market today that are advertised as “breathable”. The entire mattress is 100% washable which is probably my favorite feature. The cover is machine washable and you can put the woven plastic right in the shower or hose it off outside. Let it air dry for about 8 hours and you have yourself a brand new, freshly cleaned mattress. This mattress is also super comfortable. My son slept extremely well on the Wovenaire. It was pretty obvious he remained supported in all of the right places. This mattress also passed the heat retention test easily as well. One would assume that since it is 90% air, it would cool down quite quickly, and it did. It took 11 seconds to cool down, which is 50% better than average. If you look at it closely, you can see that the cover has holes in it which allow air to escape. These holes definitely work and they certainly kept my son cool and comfortable throughout the night. It is however recommended that a crib sheet not be used to receive the benefit of the holes. This mattress is an amazing, revolutionary piece that will surely raise the bar for breathable, organic mattresses. I absolutely I loved everything about this mattress. There was no off gassing odor; it was supportive, comfortable, breathable, washable, lightweight, and just an overall fantastic mattress. Unfortunately, the price tag isn’t nearly as awesome, but the mattress is worth it! This mattress is an amazing, revolutionary piece that will surely raise the bar for breathable mattresses. All of the mattresses I tested and reviewed are definitely worthy of your consideration, but as always, there is only one winner. The Newton Wovenaire is the stand-out winner in this case. This mattress had the best features out of all of the ones I tested. It is, by far, the safest, it is definitely the most unique, and certainly the most breathable. This is surely the safest mattress on my list, but I would go as far as to say that this is the safest on the market today. There are so many crib mattresses are on the market today, and they are not all created equal. They each have individual features which performed differently in my hands-on testing. 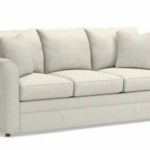 Ultimately, you’ll need to decide which features are the most important to your family but mostly each mattress has a few different qualifications that will make for an ideal place for your baby to get the rest he needs. Here are the features that are important to look for. Babies need a mattress with ideal support to nurture their development. Quite possibly the most important reason to have adequate support is to reduce the risk for SIDS. SIDS is short for Sudden Infant Death Syndrome. A large majority of SIDS cases are due to suffocation from everything from overheating, getting stuck face down, or other unknown reasons. If the mattress doesn’t have the proper support, you run the risk that your baby could roll over onto the stomach and not be able to get back over because the mattress has contoured under them. All of the mattresses listed here and tested have adequate support and firmness for a baby to safely sleep on. Infants have a very simple conception of comfort. You’re better off making comfort a consideration for the toddler age range. Of course you want your baby to be comfortable; otherwise, you might never sleep again! But while comfort might be an issue for some babies, most can fall asleep just about anywhere if they’re tired. I’ve seen plenty of babies fall asleep on a blanket on the floor and sitting up in an exersaucer. My own kids did it all the time and it proved to me that babies can sleep on anything anywhere at any time. Comfort should probably become the main consideration when your baby is old enough to start fighting sleep because their mattress is uncomfortable. While testing the mattresses for this article, my toddler son slept on them. I was able to tell if it was too firm for him. Similarly, I knew that firmness was ideal for babies. If you do find yourself leaning towards the comfort side of the important features scale, you should consider a dual sided mattress. These mattresses are meant for both sides to be used when your baby is ready to move from firm to a little less firm. All you have to do is flip the crib mattress when you know your child is ready to transition onto the more comfortable toddler side. They even make mattresses that automatically adjust to the weight of your child so that it will get more comfortable as your child grows. Breathability was not something I ever really gave any thought to until I embarked on this journey of mattress testing. Kids will overheat and start to sweat just like adults do if they sleep under a blanket and it gets too hot in the room. Overheating during the night is another cause of SIDS. We should all consider the breathability of these mattresses before making the purchase. Surprisingly, most mattresses take between 20-25 seconds to get from 130 degrees down to normal body temperature. Many manufacturers claim their beds have temperature regulation features. This is where my tests came in handy. I took a heating sock and a temperature gun and timed how long it took for mattresses to get down from 130 degrees to regular body temperature. Most of the breathability claims passed the temperature test, however, a few fell short of their promises. I discovered that most mattresses made of cloth retained more heat than ones made from vinyl. It’s hard to say with a high degree of certitude the reasoning for this, but I did notice the pattern and thought it worthy to mention. Interestingly, the memory foam mattresses that I tested performed better than the rest, which seems counterintuitive. Memory foam is notorious for retaining heat, but that’s not what I discovered in my hands on testing. You might not want to think about it, but you know it’s going to happen…That blowout that makes a complete mess everywhere will happen at some point. What’s worse is you know the blowout is going to stain and ruin that mattress. It happened more than once in my house! My son enjoyed finger painting with his poop making it that much harder to clean up! If you’re looking at the cloth mattresses that do not have a removable cover, cleanup is much harder after inevitable accidents. Mattresses with vinyl covers were the easiest to clean after an accident. Mattresses with removable covers can be easy if the accident isn’t bad, but it can still be difficult to clean up if the mess moves through the cover to the mattress underneath. It certainly seems like a valid concept, but sometimes removing and replacing the cover can be more trouble than what it’s worth. Removable covers are handy, but you still have to clean them and change them. The liquid does not penetrate the vinyl-like material overlying the mattress and cleaning takes minimal effort with a sponge and some soap. This especially holds true for those painful finger painting days. There are a lot of important crib mattress features that I could go on and on about, but these are the features I think are most worthy of consideration. There is more than one type of mattress material for crib mattresses. You’ll find a lot of them are made that cotton junk that seems to crumble after a few years of use. But mainly, you’ll find the two main options for high quality, affordable mattresses are foam and innerspring. Let’s see how each of them performed in my hands on tests. I was mostly given the foam type of mattress to test. Foam is popular because it is generally affordable. There is usually nothing particularly fancy about the foam mattresses unless it’s organic. Foam mattresses are usually made from a polyurethane material, which is standard foam, unless it’s organic or CertiPUR US certified or Greenguard certified. Foam mattresses are not generally firm. They tend to be squishy, and you want to see a high degree of resilience when you press your hand into them. If you are considering a foam mattress, make sure it is a maximum of 6 inches thick. According to the crib mattress safety guidelines anything thicker than 6 inches can be dangerous. You’ll also want to make sure that the surface isn’t too soft because they conform to the baby’s shape which leads to an increased risk for SIDS. Foam mattresses seem to be more popular than their innerspring mattress counterparts. Innerspring tends to be heavier due to the coil springs and they are also more expensive. The greater the number of springs will lead to a higher degree of firmness generally speaking. You’ll also find the innerspring mattress border has a wire to keep the edges adequately supported. Let’s take a look what you should look for with these type of mattresses. As mentioned above, the more springs inside of an innerspring generally equate to greater firmness along with its thickness and the gauge of the steel. If you compare a mattress that has 150 coils with one that has 250 coils and both have the same gauge steel, the 250 coil mattress will be firmer. If the 250 coils are made with thinner steel represented by a higher gauge, there may be no difference at all between the firmness of each mattress. The firmness can also be adjusted by the other materials inside of the mattress with the coils.